Seeing native animals in Sydney especially kangaroos and koalas is on the top of most visitor’s lists when planning their trip to Australia and Sydney provides quite a few opportunities to see our Aussie wildlife including wombats, kangaroos, koalas and platypus up close. Through my work with international students, I seemed to find myself visiting animal parks several times a year. 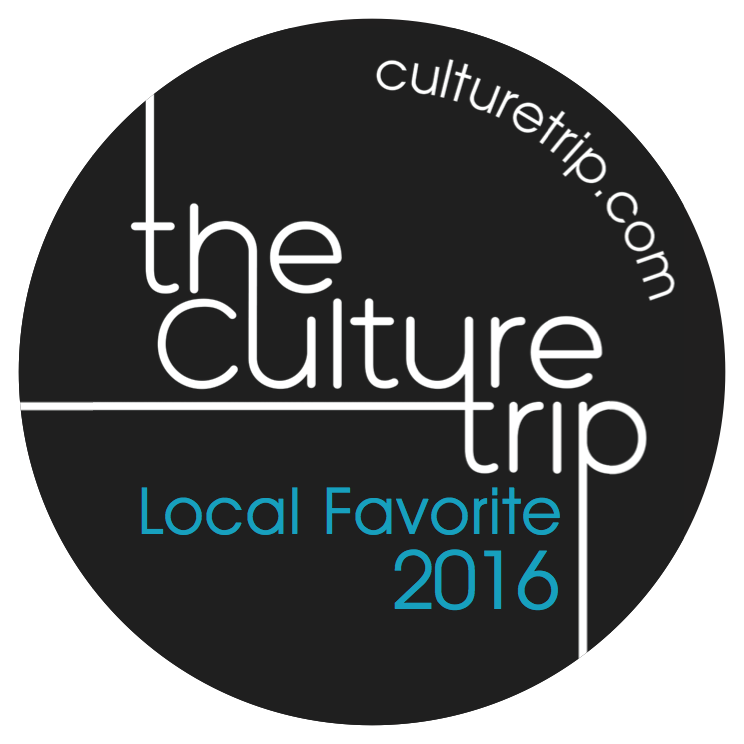 So read on and discover how you can meet some of the cutest locals. Have your photo taken with a Koala? See animals in the wild? Sleep in a zoo and wake up and help feed the animals? Choose the best experience for small kids? Best options for budget travellers? Well, let’s work out the best choice for you. 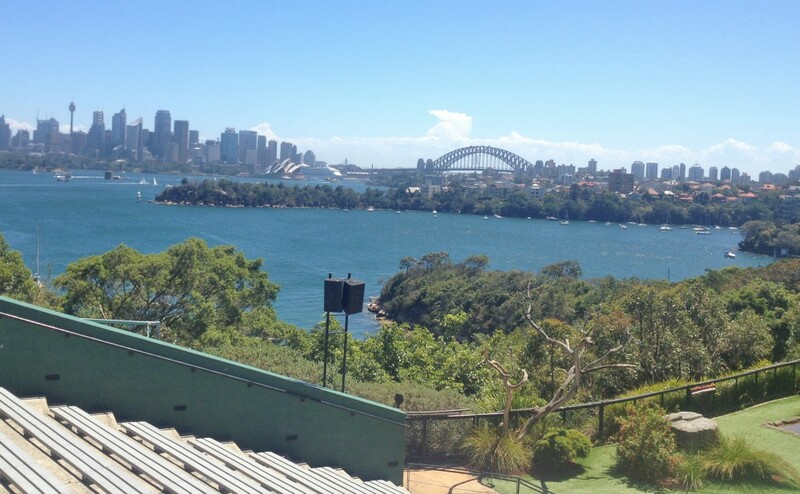 Taronga Zoo – The zoo with a view. Taronga is an indigenous word that means beautiful view, and it certainly offers that, with great views of the city, well-designed enclosures and a broad range of animals to see. Opened in 1916 it has seen plenty of renovation in the last few years with the new tiger trek being the most recent addition. The zoo sits on a hill overlooking the city and is home to over 4000 animals and 350 different species. You can easily spend a whole day here, and there are some beautiful picnic spots but if your time is limited 3-4 hours would get you around, possibly less if you stick with just the Australian animal zones. The Bird Show – One of the favourites is the bird show, it’s got the best location overlooking Sydney Harbour, and it’s an entertaining show. The Seal show – A relatively standard seal performance but lots of fun if you have not seen one before. It’s popular so arrive at the area early if you want a seat. Koala encounters – These cost extra, but they do give you the opportunity to get up close to the koalas and spend 15 mins observing them and snapping away with your camera. You are in a small group, so if getting the perfect koala photo is important to you I would get to the zoo early to book your spot as these are limited and book out early each day. These can only be reserved in person. They also have unique offerings like the Autism Services where they open the zoo early and provide extra support for kids with Autism to enjoy their Taronga experience. If you are travelling with children and have an iPod or iPhone this free Taronga Zoo app is worth downloading. There is also a wild rope climbing experience and a brand new tiger trek. While it can seem an expensive day out with entry about $46 for adults and $26 for kids, there is a lot to see and do, and you can easily spend a full day here. Fellow writer LC from Birdgehls has written an excellent post on How to have a ripper day at Taronga Zoo and gives lots of great advice. BYO food, what’s on offer is pricey and not that interesting. Register on the website for your $1 birthday ticket if you would like to spend your birthday at the zoo. Buy your ticket in advance so you can use the sky chair ride from the wharf. You cannot buy tickets on arrival and must go to the top entry via bus or entry via the bottom and walk uphill to the main zoo area. Why: Iconic views, great new enclosures and lots of animal talks and shows. 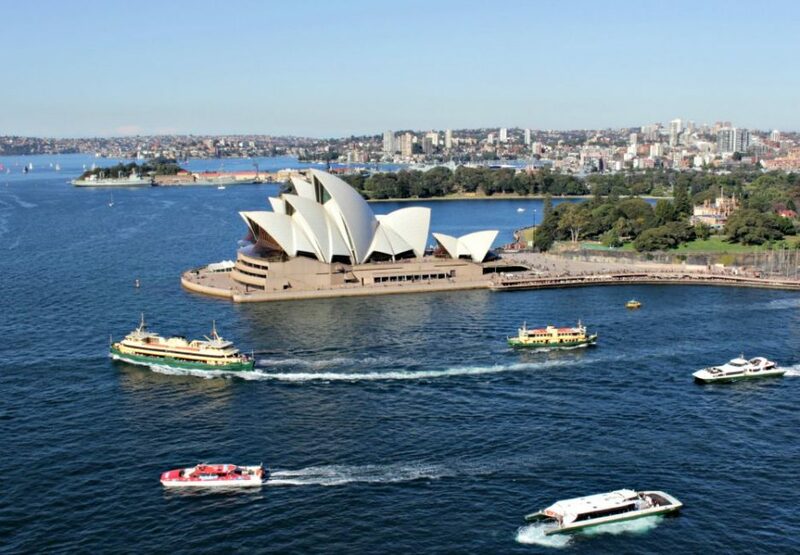 How: Take a ferry from Circular Quay – every 30 mins. The trip over takes less than 15 mins. I love Featherdale, and for getting up close to native wildlife, and in my opinion it is better than Taronga Zoo for seeing Australian animals. There are over 1700 animals here from 250 species including the most extensive collection of koalas in NSW. 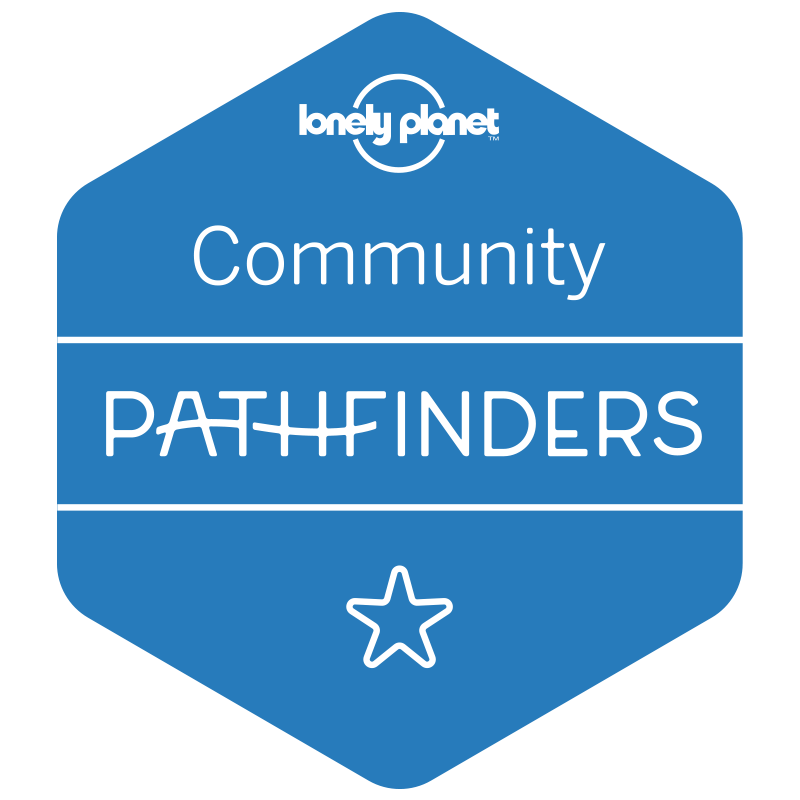 The park is not huge, but all the big names are here, kangaroos, koalas, quokkas, quolls, bilbies, wombats, crocodiles and frilled neck lizards. Allow about 2 hours to see everything without rushing. 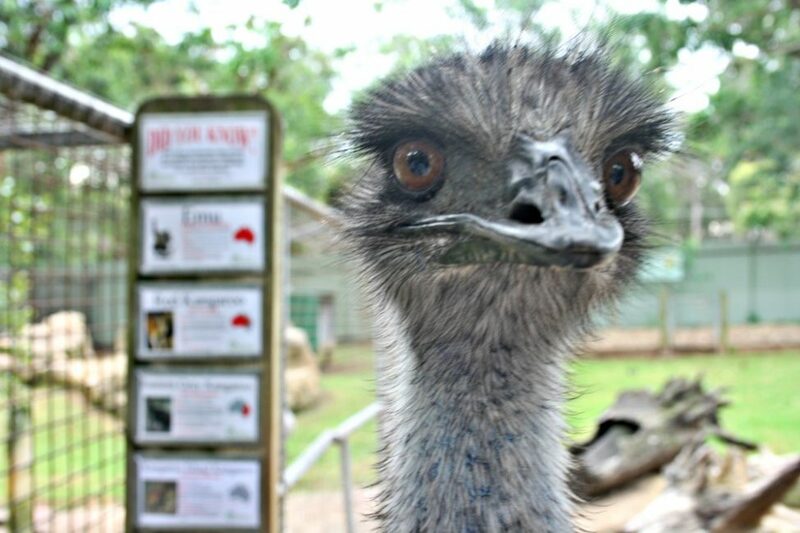 Emus, wallabies and Kangaroos roam free in 3 walk-in enclosures but have zones they can go back to if the visitors start to annoy them. Featherdale is also one of the few places where you can get your photo taken with a koala for free – using your camera. If you feel the need to pat a koala, you can pay extra for a one on one Koala encounter that will allow you to pet the lower part of the animal, but you cannot touch the face or head. The 45 minute trip to Sydney’s western suburbs where Featherdale is is hardly a scenic one, but the park itself is fantastic. Entry is $32 for adults and $17 for kids, making it cheaper than Taronga. Many tours to the Blue Mountains stop here so check that option if you are planning a Blue Mountains day trip. Local Tip: While this park is small you can easily spend half a day here as you don’t feel the need to rush around and there áre plenty of talks and activities throughout the day so check the what’s on list when you arrive and plan your day around the events that most appeal. Read this detailed review of a day at Featherdale for more great photos and details on planning your visit. 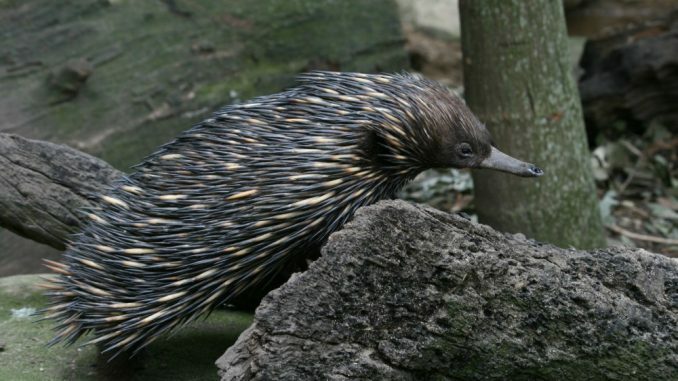 Why: It’s the best option for close encounters with native Australian animals. The size also makes it less overwhelming for little kids. It is also wheelchair and pram friendly. How: The easiest way is to join one of the many tours on offer however you can do this by public transport. Take the train from Central or Town Hall to Blacktown, then either jump in a taxi or catch the Busway bus No.725 from the station. It’s about a 10 minute trip to the station to the park. I have not visited many aquariums so I don’t have a lot to compare this with so you should know that up front. If time or budget is tight then for me this is not a must-see site. If you are travelling with young kids or are hit with some wet days, it could be a good option, but I was a little underwhelmed. Sealife is home to 13000 marine animals, including two dugongs, Pig and Wuru, who were rescued off the coast of Queensland there are only 5 in captivity in the world, and they are fantastic to see. The Aquarium has an excellent dugong website you can check out if you want to learn more about them. Another highlight was the glass viewing tunnels where the water – and the fish – are all around you. The stingrays are my favourite, so graceful as they glide above you. I also really like the fairy penguins. There are regular talks including a shark feeding at 11 am every day. The newest attraction, which I have not seen yet, is the Penguin expedition ride that allows you to get up close to King and Gentoo Penguins. Keep an eye on tourist brochures in your accommodation as there are often discount vouchers available for entry. You might also like to consider the Merlin combo passes that provide admission to Wildlife Zoo and Sydney Tower as well. Why: The kids will love it, penguins, sharks and dugongs – along with over 10 000 fish! I have not visited Wildlife Sydney for quite a while, so I don’t have much insight into the current conditions. I can tell you that it is centrally located and if you are short on time and don’t want to miss seeing some Australian animals up close, it is a good choice. On the weekends they offer breakfast with the Koalas which is limited to 30 people so really gives you a chance some great photos. I have not tried this yet, but I have heard excellent reports from other visitors. One thing I have enjoyed at Wildlife Sydney is the keeper talks. I have listened to most of these over the years, and the keepers are all knowledgeable and passionate. Where: Darling Harbour – right next to the aquarium. Why: A visit here might not be my first choice if you have minimal time in Sydney or mobility problems it might be your best bet. It’s also great in bad weather. Tip: Get a combined ticket with one of the other Darling Harbour attractions for the best value. Don’t miss the platypus or cassowary as it is hard to see these two in the wild. In many ways, Symbio is the southern suburbs version of Featherdale. It has a great collection of animals and is especially suitable for small children. Its location means it attracts less tourist and more local families, so it is often not as busy as Featherdale which is popular with Blue Mountains tour groups. If you have access to a car, this could be an excellent choice. Public transport is possible but check the timetables as the services are infrequent. Tip: While you are in the area make sure you visit Stanwell Tops for dramatic clifftop views of the South Coast. 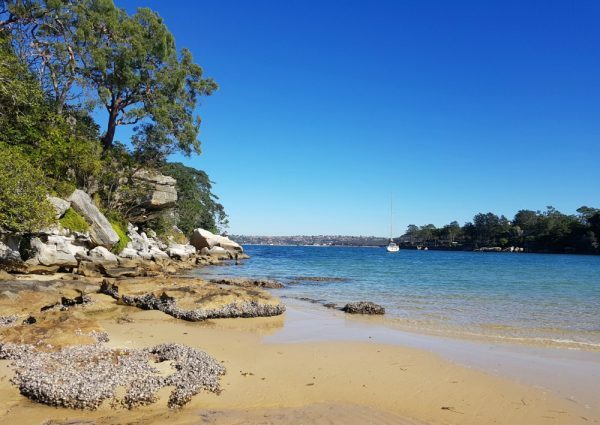 A nice little walk from Manly Wharf, the cabbage Tree Aquatic reserve covers an area of approximately 20 hectares from the southern end of Manly Beach to the northern end of Shelly Beach Headland. The reserve usually attracts schools of small fish, and you can also spot groper. The area is staffed by volunteers on the weekends who are happy to answer questions. It’s an excellent spot for snorkelling or underwater photography with over 150 different species of fish recorded here at various times. Volunteers update signboards with details of water temp and fish seen recently. 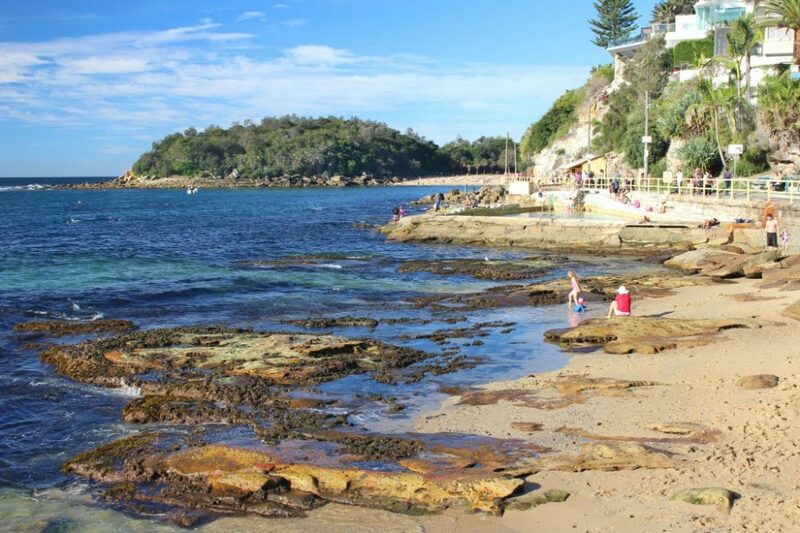 Tip: Shelly Beach is a great spot to watch the sunset being the only west-facing beach along the coast of NSW. It is also a really shelter beach for kids. Tip: Make sure you check out this information brochure on the sculptures that line the path to Shelly beach. The best time to see them is at dawn and dusk – this applies whenever you are looking for roos. There are 40 campsites at the clearing which is a very good idea as it’s easiest to observe the animals before anyone arrives. 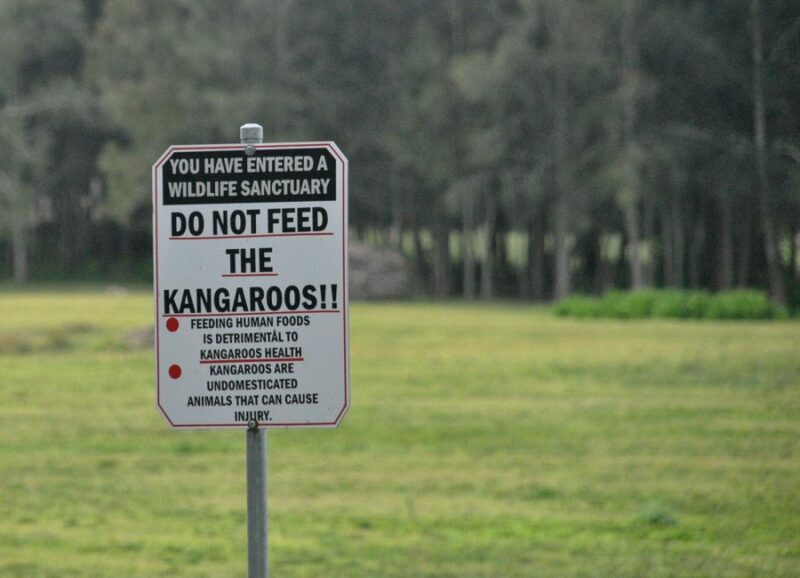 These kangaroos are not like the ones in the zoo, you can not hand feed them, but they are used to people visiting the area so do not tend to scare too easily. Having said that stay away from the large males as they can get aggressive. 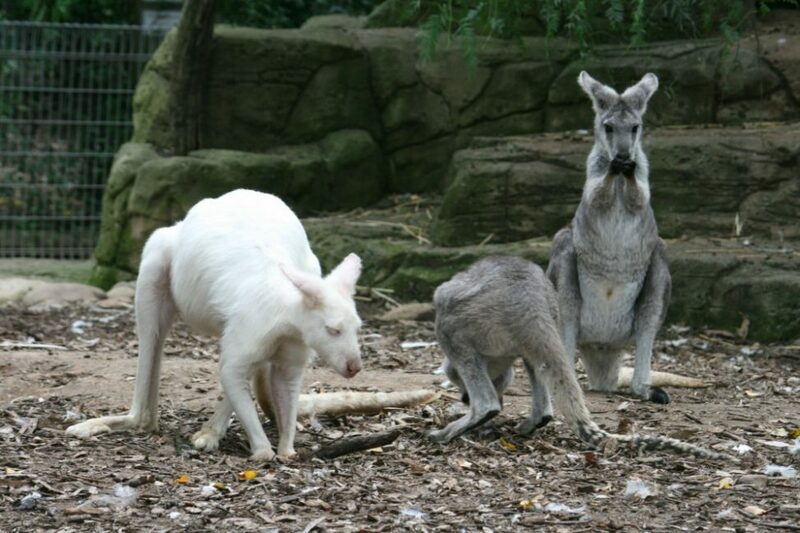 The mothers are also very protective if there are small joeys in the group. Why: Kookaburras, Cockatoos and Kangaroos in their natural habitat – and you can camp here too! How: Best to drive to Euroka, it is approx 65km from the city. The nearest train station is at Glenbrook, and from here you would need to walk approx 5km to the clearing. Some small tour operators include a stop here. Tip: Make a trip of it and do the walk to Red Hands Cave for some indigenous rock art. There are maps to help you plan your walk at Glenbrook and Euroka on the WildWalks website. Collins Beach is in Sydney Harbour National Park, a small sheltered beach that is home to a small colony of fairy penguins. About 50 or so live here but please if you do visit do not try to touch them or get too close. The beach itself is beautiful and so secluded that you feel like you are miles away from anywhere. 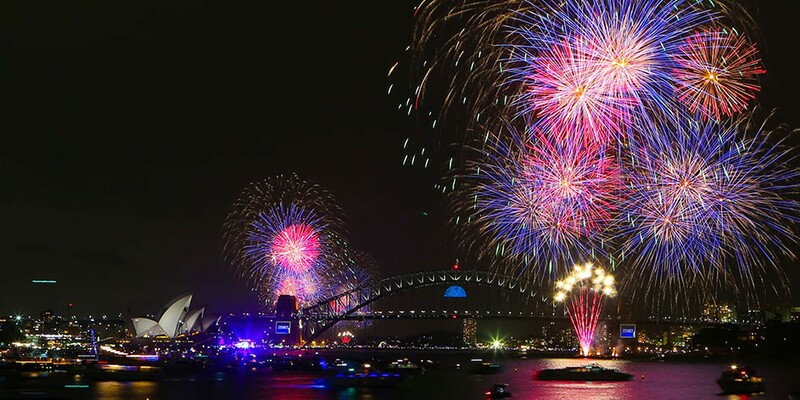 Visit the Sydney Harbour National Park website for more details. Trying to choose between Wildlife Sydney vs Taronga zoo? It depends on the time and age/ability of the visitors. Wildlife Sydney is good for pram and wheelchair users or those with really limited time. For everyone else, the zoo would be my choice. Do you have specific questions about the best choice for your circumstances? Head over to Facebook and join our Sydney Expert Facebook Group where you can ask questions, stay up to date with what’s happening in Sydney and meet a bunch of friendly locals just waiting to share their advice! Sydney is such a fantastic city. Have been a couple times and really enjoy all that it has to offer. Wildlife in OZ is quite special – cool way of breaking it all down so people can experience it. I spent the whole day at zoo there. Such a great guide to these places. Cassowaries are one of the weirdest animals in my opinion! All of these look like great places to see Australia’s wonderful animals. I’m a big fan of aquariums so that would be my first stop! Nothing beats the sight of wild animals in their natural habitat. But as long as people follow the attraction’s rules, zoos and aquariums are great places to see wild animals. 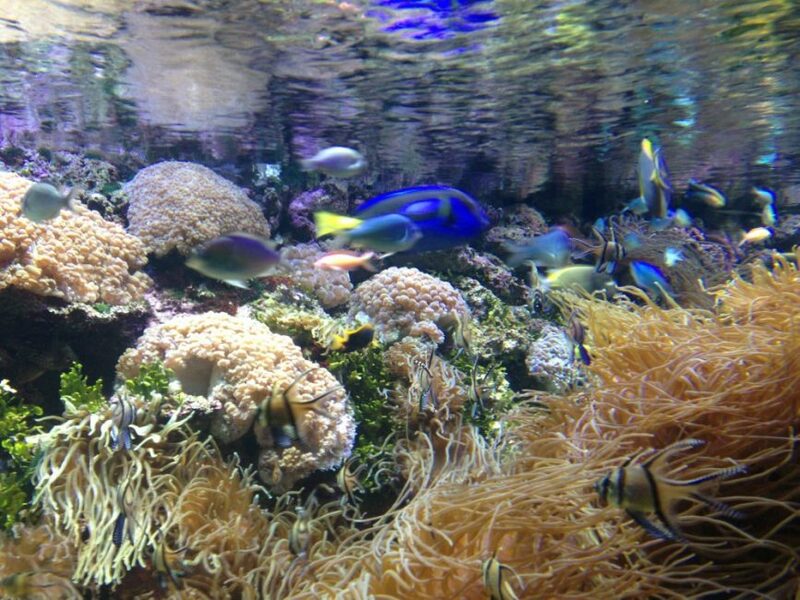 The aquarium looks really interesting for us considering we are scuba divers. Hood tips got people traveling to Australia. I would absolutely want to see the local animals while there. Holding a koala??? I didn’t even know you can do that. I want to try that!!! Wow, i needed this guide before my visit to Sydney! With this info, now I can’t wait to go back. 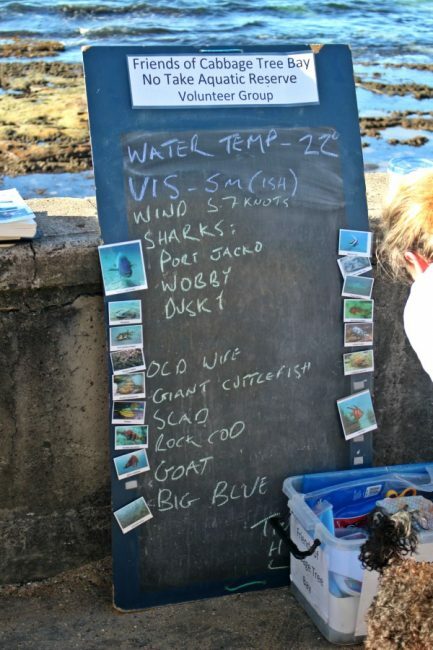 I love that the signs at Cabbage Tree Bay Aquatic Park are updated to let you know what you might find every day. This is great! When going to Australia, I definitely want to see the animals there. I didn’t even know that you can hold a koala, sounds awesome! Thanks for the tips.